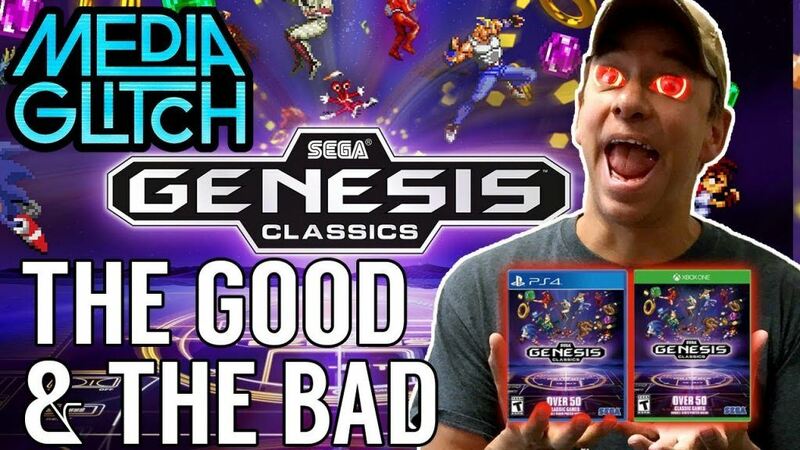 The good and the bad of the Sega genesis classics for the PS4 Xboxone and steam. Plus I show game footage of every game that is on this collection. Sega Genesis Classics (Sega Mega Drive Classic Collection in PAL regions) is a series of compilations featuring Sega Genesis video games released for Microsoft Windows. The collections are split into “Volumes”, with the first four receiving both physical and digital releases and the fifth volume only being digitally released. Steam versions of these collections exclude Sonic the Hedgehog and ToeJam & Earl games. The former can be purchased as a part of Sonic-related compilations and all games can be purchased separately but at higher prices. Sega re-released the first four physically released volumes as the Sega Genesis Classic Collection: Gold Edition (Sega Mega Drive Classic Collection: Gold Edition in PAL regions), for Microsoft Windows. It is a four-disc set of the forty-six Sega Genesis games from the first four volumes. The collection has configuring keyboard support which provides a personalised gaming experience, as well as a multiplayer mode for a select number of titles. The collection also has save and load functionality that is included in all of the games that allows the player to pick up and play saved games at the exact point they left off. Sega released a free application on Steam on April 28, 2016, called the Sega Genesis Classics Hub (Sega Mega Drive Classics Hub in PAL regions). The application presents a virtual hub, themed after what a bedroom of a Sega fanatic might be like, to play all of the released Sega Genesis games through it. This will enable these games to have Steam Workshop support, supporting ROM hacks for these games; within a day of its release, previously developed ROM hacks were added by users to the Hub’s Workshop. Sega states that players that have already purchased Sega Genesis games receive them for free for use in the Hub.A few weeks following the release of the Hub, Sega reported more than 350,000 new purchases of the various games supported by the new software.